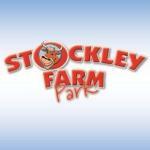 Please note - this information has been extracted from the Stockley Farm website. As we are an organic working farm, farming both dairy cattle and arable crops, visitors also have the opportunity to discover where their food comes from, through experiences such as milking parlour demonstrations and planting activities. For further information telephone 01565 777323 or look on the Stockley Farm website.